The U.S. Environmental Protection Agency (EPA) proposed the stronger standards almost two years ago, but President Obama directed the EPA to drop the proposal on September 2, 2011. Rejection of the protective standards leaves in place weaker Bush-era ozone standards that leave tens of thousands of Americans at risk of suffering serious health impacts, according to leading medical organizations. Earthjustice is representing the American Lung Association, Environmental Defense Fund, Natural Resources Defense Council and Appalachian Mountain Club in this challenge. The Obama Administration’s inaction in cleaning up ozone pollution, and its decision to ignore the strong recommendations of the scientific community, jeopardizes the health of millions of Americans. If the administration had followed the law, new smog standards would have saved lives and resulted in fewer people getting sick. UPDATED: Our print story for tomorrow is posted online here. At the same time, 25 states have filed a “friend of the court” brief trying to delay EPA’s finalization of the first-ever limits on emissions of toxic air pollutants from coal-fired power plants. Yes, West Virginia is among the states that signed off on that brief. Lawsuits are also piling up regarding EPA’s cross-state air pollution rule, with at least two dozen power companies, cities, states and industry groups joining the fray before Friday’s deadline for court challenges. This analysis shows fundamental flaws in that claim – most notably, that it provides no explanation for more than 50,000 of the supposedly lost jobs, and that the majority of the claimed job loss, said to be the result of a 1-percent increase in electricity prices, is based on misuse of an estimate in an unpublished academic paper. The author also presents a new analysis of employment effects, based on an industry estimate of the costs of regulation that is much higher than the EPA’s cost calculation, and the well-known IMPLAN model of the U.S. economy. 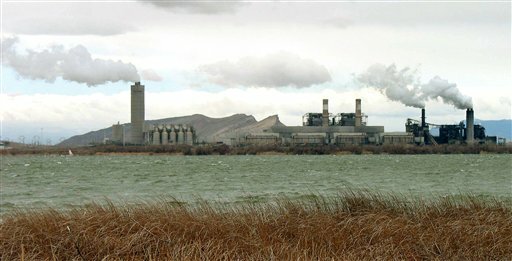 The analysis shows that new spending required for compliance with strict regulation of coal ash, including expenditures for waste management, wastewater treatment, and construction and operation of facilities and equipment, combined with the effects of the resulting electricity rate increases, would result in a net gain of 28,000 jobs.